BIOGRAPHY OF CARL KRAFT: Carl Kraft is a little known glass artist, whose art works in glass are rather limited, of high quality, and a real find for collectors! He was a third generation glassblower; both his grandfather (in Sweden) and his father (in California) worked with glass their entire lives. 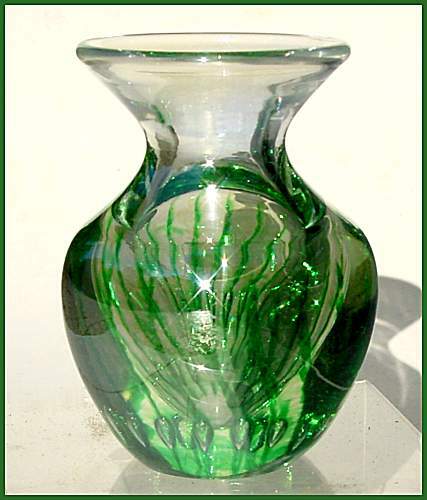 At the age of five, Carl began to learn about glass from his father at his studio (the Kraft Glass Studio) in Bell Gardens, CA and eventually took over the studio from his father. 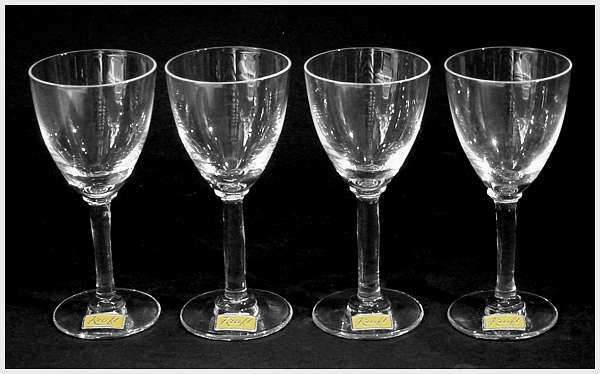 In California, Carl primarily made high quality stemware that was sold throughout the country. 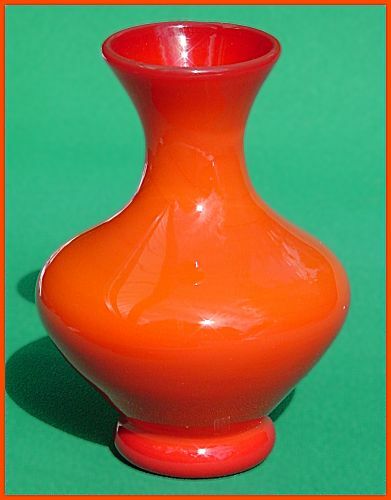 In the late 1950s, the studio closed and he moved east and eventually settled in the Toledo, OH area where he was employed at the Owens-Illinois Technical Center of the Owens-Illinois Glass Company. There he worked essentially as an experienced glass technician, developing glass formulas for different uses. At that time, he became friends with other glassblowers in the area, including Joe St.Clair and Dominik Labino among others, and he began to do more creative glasswork at his small home studio. 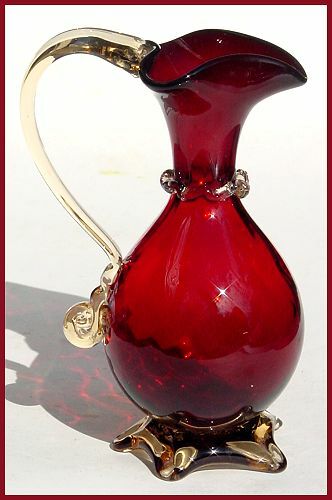 In the mid-1970s he suffered a heart attack and had to retire from Owens-Illinois Glass, but a few years later he opened a small shop in Toledo, called the "Glass Apple", where he sold mainly his own handblown glass paperweights, vases, and some decorative stemware pieces. 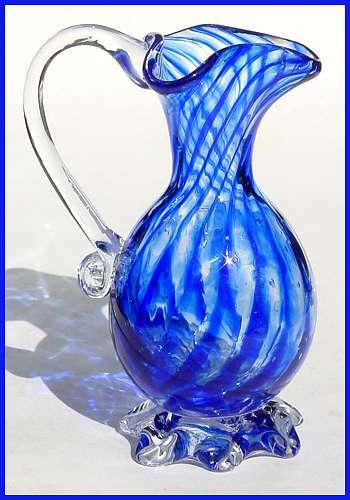 Carl Kraft loved glass and this is apparent in the quality of his work. 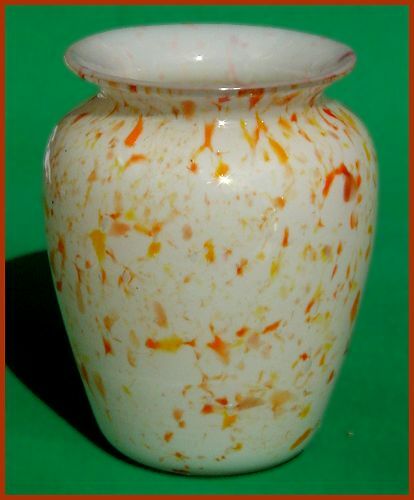 He continued to work in his glass studio until his death in 1995 and according to his daughter (who now lives in Ocala, FL and from whom this information was obtained), glassblowing was his true love throughout his life; she feels this helped extend his life many years after he first became ill. All the Kraft items we have for sale came from his estate. The glass in this gallery represents the various types of pieces Carl Kraft made through out his life and many are really historical pieces. They all came from his own collection and according to his family, many are one-of-a-kind pieces. 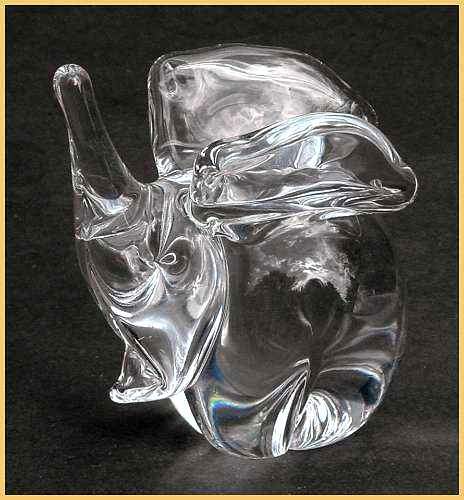 Please visit our Kraft Glass Paperweight Gallery to view his paperweights. 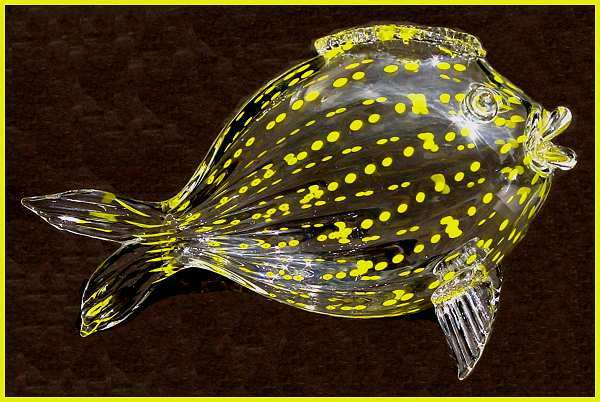 Kraft 1949: Yellow dotted artglass fish. Slightly ribbed glass fish with rows of yellow dots throughout and applied ventral fins. Signed (Kraft, 1949). 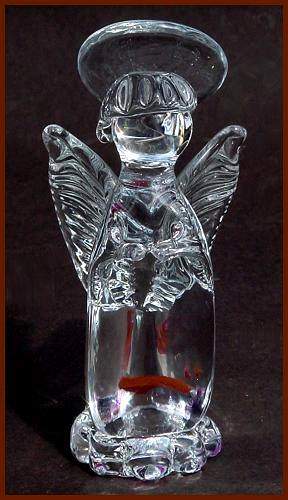 Length: 9"; height: 5½". SOLD. 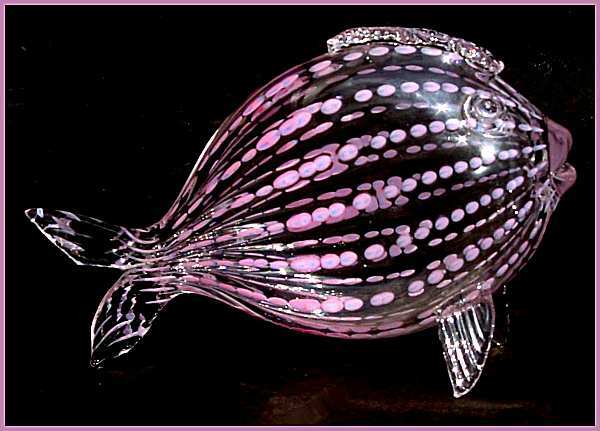 (#J071) See matching pink dotted fish (#J072).